When people refer to physical mail as “snail mail” we know by now that they are poking fun at how old it is compared to email. But if you think about it, email isn’t exactly brand new anymore! 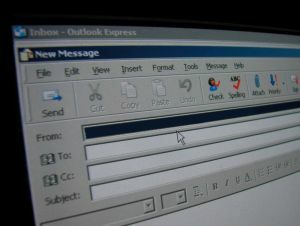 Email has been around for nearly two decades now and it’s evolving everyday. Now email marketing is becoming a staple of how businesses interact with clients, customers, and fans of their products. Pretty much everyone, in a business setting or not, has an Outlook, Yahoo, AOL, or Google Email (Gmail) account, but let’s face it; those providers are better served to send out a single email from one person to another, or maybe to CC a couple extra people at most. Have you ever taken the time to try and email 20 different people about something at once? It probably wasn’t the quickest task you’ve ever performed, was it? Let alone the most professional. Email marketing services like Mad Mimi, Vertical Response, iContact, and Mail Chimp, to name a few, are designed to make mass emailing more efficient. If you’ve ever had a problem with your Internet service provider (ISP) restricting the amount of emails you can send at one time, it’s because they were trying to prevent spamming. Email marketing services are built so that you can send an email to as many recipients as you’d like at one time. You’re probably wondering, does that mean that these services promote or allow spamming? The answer is no. These services work with your ISP as well as corporate domains to make sure that emails are safe to open and approved before sent. The features that come with most if not all email marketing services also makes for a more professional appearance as far as styling and template options go. Some services even allow you to build a customized template from the ground up. Have you ever sent a message on a social media site like Facebook and seen a notice pop up in the message to let you, the sender, know that your message has been read? If you have, think of email marketing services in the same light. It can be counterproductive to business (not to mention frustrating) when you don’t know whether or not your clients, customers, or fans have opened the email you sent. But the tools that come standard with most of these email marketing services provide a plethora of analytics on successful deliveries and the rate in which your emails are being opened so you can keep track of who’s checking out what you have to say and who’s not. Here at VR Metro, we’ve been getting more and more familiar with, and using email marketing services for years now. We have made them a big part of our day-to-day operations to help our clients’ businesses grow and can do the same for you!